An arts-n-crafts cookbook is a creative way to gather your favorite recipes – you can even get the kids in on the project! Just grab some colored construction paper, a hole-punch, and brightly-colored ribbon. Write down your recipes on each page and let the kids decorate with glitter glue, stickers, or whatever else they’d like. You can then hole-punch the sides of the paper and weave ribbon through them to create a booklet. For a more professional effect, have the pages laminated before you put them together. Your new, homemade recipe leaflet is also a heartwarming memento! Consider including photo the kids took or even family reviews. A digital cookbook is practical and allows you to edit your recipes and add new ones as you’d like. 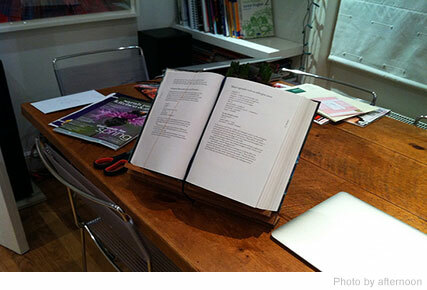 Use specialized computer programs to type up your recipes or design beautiful pages and document systems to keep yourself organized. If you use a word processing programs like Microsoft Word, make sure to number the pages as well as create obvious titles so your recipes are easy to find. With Excel, you can create different tabs for each recipe and use formulas for more easy to navigate systems. To take it online, you can even create your own blog and upload recipes that you and the family want to remember. A blog is a great, structured way to group together your recipes because the archives make it easy to find any of your recipes in a click. This will also allow multiple family members to contribute no matter their location. Which DIY cookbook do you prefer? Try out these tips to find your recipe organizing style.